Rowan Stewart has authored five editions of her best-selling text The Handbook of Clinical Nutrition and Dietetics, a key text in universities and clinical practice. She is also author, editor and publisher of General Paediatric Nutrition and Dietetics, the Clinical Placement Survival Guide and Australian Feeds and Formulae. Formerly on the faculty at Griffith University and having taught at the University of Queensland and Bond University, Rowan now devotes full time to research, writing, and publishing. Rowan is CEO of Australian Dietitian a unique center providing information and resources to the dietetic community. As Director of Nutrition Care Professionals she combines her academic training in dietetic education, her expertise in publishing and a long-term interest in clinical dietetics to produce educational resources on the Nutrition Care Process. Angela Vivanti is an Advanced Accredited Practicing Dietitian (ADV APD), with 30 years experience across many dietetic areas, including clinical, public health and food service management as well as in teaching and research. She holds a Research and Development position at the Princess Alexandra Hospital and has held university appointments with the University of Queensland, Griffith University and Queensland University of Technology. Angela has validated tools for clinical practice including dehydration screening, satisfaction surveys for patients and students on clinical placement,and a multidisciplinary Rapid Assessement Prioritisation and Referral Tool to enhance patient identification for allied health evaluation and intervention. She has been a reviewer for many international journals. 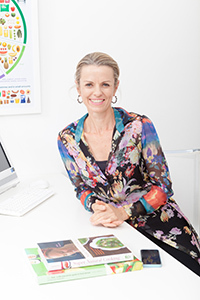 She has been professionally active within the Dietitians Association of Australia (DAA) including the Board of Directors, chairing national marketing and NCPT groups, and contributing to university accreditation, health information and conference scientific committees. 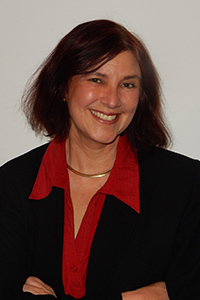 She provided International representation into the Nutrition Care Process and Terminology while working towards the increasing inclusion of nutrition terms into the internationally utilized SOMED-CT.
Esther Myers in an internationally known author, lecturer, educator and researcher in dietetics and evidence analysis. She is CEO of EF Myers Consulting, Inc, President of Spectrawell, and Director of Nutrition Care Professionals, Pty, Ltd. Her consulting focuses on collaborative initiatives in international practice-based research and dissemination of evidence analysis principles, and promoting the Nutrition Care Process and Model (NCPM) and International Dietetics and Nutrition Terminology, now called the Nutrition Care Process Terminology (NCPT). 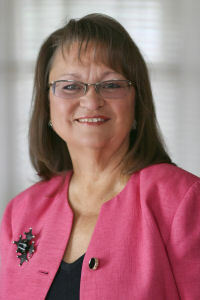 Dr Myers was instrumental in the development of the Nutrition Care Process and Model and the NCPT, the standardized language system for nutrition care and electronic health records, during her 11 year tenure as Chief Science Officer for the Academy of Nutrition and Dietetics (AND). Prior to working at AND, Dr Myers retired from the United States Air Force after 25 years. Her career culminated in serving as the Consultant to the USAF Surgeon General for Nutrition and Dietetics. Esther received a doctorate from Kansas State University, a master's degree from the Ohio State University, dietetic internship from the United States Air Force and undergraduate degree from North Dakota State University.